I like to call it CREATIVE, FRESH, VIBRANT, FASHION documentary editorial style with a touch of FINE ART My goal is to provide a good illustration of your day and relationships with minimal posing. I want to capture images that will expose the love and complicity you have for each other. The experience should be flowing, relaxed and energetic. My coverage is unobtrusive and I would never even thin stopping you to say "cheese while you are cutting the cake, I would like to get some time with you two (preferably 45m ) without wedding party and guest looking on. My best results are when my subjects trust me:) What inspires me as an artist is beauty, laughter realness, nature. I look for the best light, details, the little things, emotions, motion and anticipation. My images are happy not gloomy. I am a hybrid photographer. For me film has some beautiful advantages in certain circumstances but then digital allows me to be creative in a different way. So my choice is using both as I can’t compromise and neither should you. Don’t worry all film is scanned and also posted online as the digital files for ease of viewing. You get the best of both worlds! Film negatives are still the time tested way to have lasting negatives/images. Who knows where thumbdrives will be in 5, 10 years from now? remember 8 tracks? floppy discs? Typically I book about 9 to 15 months in advance. There is always some more popular dates and of course once you secure your date and location make sure to call or shoot me an e-mail to check availability. There is no minimum or maximum preset. It really depends on the events, the size of wedding party, guests, details… No two weddings are the same but from experience you get more than 150 images per hour of coverage. AM I STUCK INTO A COLLECTION? Although I would like to be able to get your family in a more candid , relaxed way. I put some time aside to shoot the formals so to speak. It is an important part of your family history. This process should be easy, fast and not drawn out, for this about 8-10 combos will be captured. Usually it is best to capture right after the ceremony if not done before. this really depends on your wedding. I do not set a limit. If something happens , I am there. Other factors that can make a difference in this amount is what events in the day you want covered or how many hours I will be shooting, size of wedding party and family formals, how intricate the details, setting, set up, multiple locations for portraits and events.... I would say about approx.100 per hour of coverage or so.. It varies. I come to a wedding with at least 5 cameras and a wide range of sharp lenses at least 8. My brand of choice is NIKON. We can still get to know each other and I have tons of examples of my work online. It is more the norm so not to worry. I usually get to officially " meet" my clients a few months after we sign a contract and many times on the wedding day. Definitely! There’s nothing or almost nothing more exciting then shooting in different, urban or exotic outdoor surroundings. Travel charges are discussed on an individual bases. There is no travel charges for the Tahoe area. I am passport ready. I am now offering wedding coverage in the greater Burlington and Quebec. We together decide on the best offering, options.. We then sign an online contract. The retainer to secure your date is 50% of the package amount. Due to the demand of my services I can’t hold your date unless I have both items in hand. 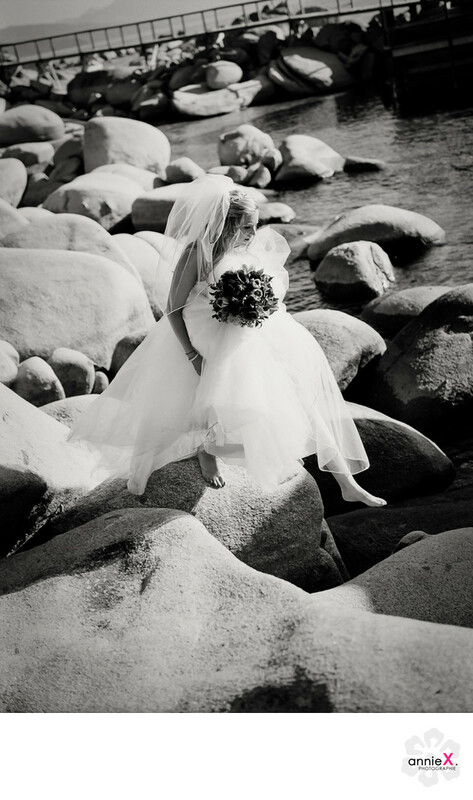 I have shot over 400 weddings and have been in business for myself since 2001. MY VENUE WANTS A LIABILITY CERTIFICATE, DO YOU HAVE ONE? ARE YOU INSURED? Yes and yes, I can provide them with the paperwork they need. I always make sure my insurance is up to date. Occasionally discounts are available but are based on time of year, day of the week and availability. if you have concerns about your budgetary needs, please contact the studio and let me know so we can look at options. I would love to! So I don't lose any steam or get hangry :) We prefer to be fed when YOU are fed, not afterwards, because when you are eating you're not at your most photogenic and when you're done, we want to be done as well to continue your coverage. We require meals to be provided for us for any coverage over 5 hours. If you choose not to provide us with a meal, we will take one break at some point during your reception. Of course! It is actually one of my favorite things to photograph. Bonus is we have a chance to go explore together. Shoot me an email to get more info on elopements options. we highly recommend ordering prints through our professional lab, but it is not required. the difference in quality is huge when it comes to ordering through a professional lab, so we encourage clients to let us help with prints! DO YOU OFFER MIDWEEK DISCOUNTS ? DO YOU SHOOT SMALL, LARGE, INDIAN, PERSIAN, CHRISTIAN, JEWISH, NON-RELIGIOUS, LGBT WEDDINGS? I welcome any diversity and thrive on anything or rituals that make your wedding more special, more you. Anyone or everyone should be who they are and celebrate the way they want! for portrait sessions your online gallery could be ready up to 2 weeks after the shoot. Weddings normal take between 4-6 weeks. There is approximately 60 hours of work that goes into processing a wedding.